WHAT IS Star Alfresco Connector for HCP? 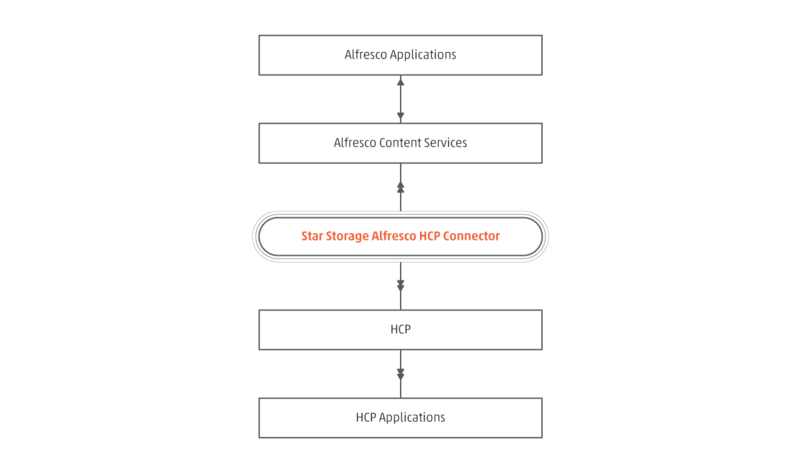 Star Alfresco Connector for Hitachi Content Platform (HCP) is the solution that brings together Hitachi Content Platform (HCP) state of the art content archiving functionality and the great features provided by Alfresco, the leading and mature open source Enterprise Content Management platform. Seamlessly integrated both for the end user and for the applications, this connector allows repositories to store content inside HCP appliances as an external storage. Star Alfresco Connector for HCP is a product developed internally by our R&D team in order to provide a seamless integration between the two systems, allowing to store content from Alfresco inside the HCP store as an external storage area without any impact on the end user or the applications in place. Content lifecycle management is completed using standard Alfresco functions – with no specific limitations. Collaborate in style by developing essential business information with Alfresco's great collaboration features and archive safely inside HCP. Use Alfresco retention, HCP retention or both – enforce content retention at HCP level, with or without Alfesco's Retention Management Module. Choose a delivery model that best suits your business needs! Fully integrated with Alfresco Enterprise and Hitachi Content Platform and independent of Alfresco user applications and input methods. No impact on the existing systems, configurations and customization and no additional costs for hardware/software. The content transfer is seamless to the business users, as they can upload content just like before and they can access old content without knowing it is stored in a different location. Benefit from all the HCP main functionalities for the content saved in Alfresco (e.g. de-duplication, search and discovery, retention management, shredding).